Please find below an article by Martin Hugall with news of the school archives. Old Scholars to feature on Antiques Roadshow! Please see attached our privacy notice in line with the latest General Data Protection Regulation 2018 and our new membership application form. Please see attached an article in the Walden Local from 3 May 2018 which sheds further light on the ill fate of our school. For those Old Scholars who attended the school ion the1940s please find attached Michael Rossmann's annual newsletter. Congratulations Margaret Watson (nee Pilgrim)!! What next for the OSA? Please see the attached piece from the Walden Local newspaper 11th October 2017. Please see attached a piece in the Walden Local regarding closure of the school. I am very sad to have to tell you that Friends and Families Day on Saturday 1st July has now been cancelled. Please find attached The Old Scholars' Association Christmas newsletter. Please find attached Robert Dunstan's annual newsletter. It was great to welcome back three of our Old Scholars recently. We would like to wish John Searle-Barnes and Julie Anderson well for the future as they retire at the end of term after 32 and 17 years at the school! Please find attached a letter from the Head about the school's change of name as of 1st September 2016. 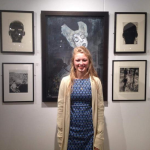 Congratulations to Alice Irwin (YG 2012) who has been accepted to study an MA at the prestigious Royal College of Art. We would like to thank Wendy Whitmore (YG 1956) for her very generous donation of a bassoon to the school's music department yesterday. Congratulations to Alex Spooner who recently won a place at ALRA (The Academy of Live and Recorded Arts) to study for a three year BA in Acting. Alice Irwin receives prestigious award! Career Lunches. Can you help with Careers advice? Congratulations to William Henry (Tim) Evens and Margaret Radclyffe who celebrate their Diamond Wedding Anniversary on 2nd April 2015! Congratulations to Martin Wood (YG 44) and Anne Pearson who celebrated their Golden Wedding Anniversary on 25th July.